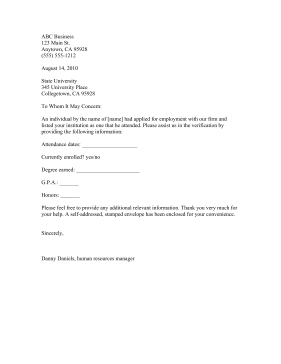 This form is intended to be sent by an employer to a college or other place of education, to confirm an applicant's attendance and record there. Please feel free to provide any additional relevant information. Thank you very much for your help. A self-addressed, stamped envelope has been enclosed for your convenience.